Today I came across a surprisingly simple approach to installing USBasp and USBtiny drivers for all versions of Windows — XP, 7, 8, 8.1, whether 32-bit or 64-bit, all inclusive! As you may know, installing open-source drivers such as USBasp and USBtiny have been a great pain on some of the recent Windows OS, due to the enforcement of signed drivers. The typical solution involves rebooting Windows into a mode that disables driver signature enforcement. Even after you’ve done it once, if you boot into the normal mode next time, it may fail to recognize the driver again (reporting it’s not digitally signed). A huge source of frustration. Anyways, while searching for ‘fully signed USBasp driver’, I came across this tool called Zadig, which can be used to install libusb drivers on all versions of Windows, and it’s digitally signed. Since USBasp and USBtiny are both based on libusb, could it be the right solution? To my great surprise it worked really well — I was able to install both drivers on Windows XP, 7 (32-bit and 64-bit), 8, and 8.1 instantly, without messing with driver signature enforcement at all. I was mostly surprised such a great solution wasn’t documented more widely online. Go to http://zadig.akeo.ie/ and download the software (note that Windows XP has a separate link). Plug in your USBasp or USBtiny device. 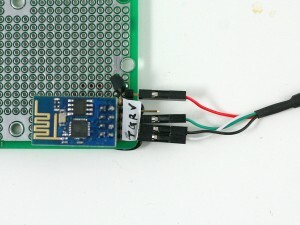 In case your microcontroller uses a USBasp or USBtiny bootloader, enter bootloading mode, and let Windows detect the device (it will report driver not found). If a window pops up asking to search for driver, just close it or click on Cancel. 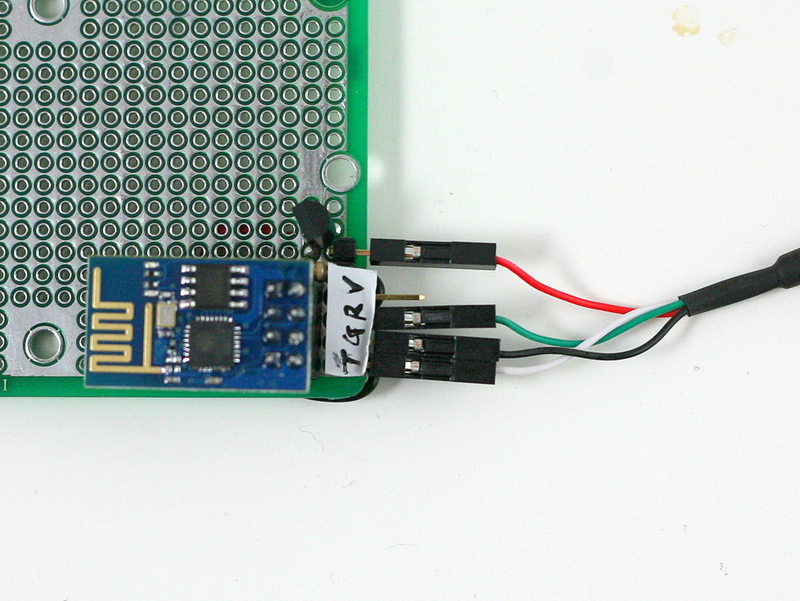 At this point, run Zadig, it should detect the USBasp or USBtiny, or any libusb device that you have. Then in the selection box (see below), choose libusb-win32 (v1.2.6.0), and click on Install Driver, and wait for the installation to complete. That’s it! Because the drivers are digitally signed, there is no hassle installing it in Windows 7 64-bit and Windows 8.1. I will be updating the driver installation instructions for OpenSprinkler 2.1 and SquareWear right away, as they both use USBasp bootloader. Users have often complained that it’s frustrating to install USBasp driver for Windows 7 64-bit and Windows 8.1. Those days are now past! Automatic Weather-based Water Time Adjustment using real-time weather data obtained from Wunderground (thanks to Rich Zimmerman who introduced the method, the adjustment method is named after him). Improved Program Settings including per-station water time, flexible start times, custom name, per-program weather adjustment control, and up to 14 different programs. Automatic Timezone and DST Detection based on your location. 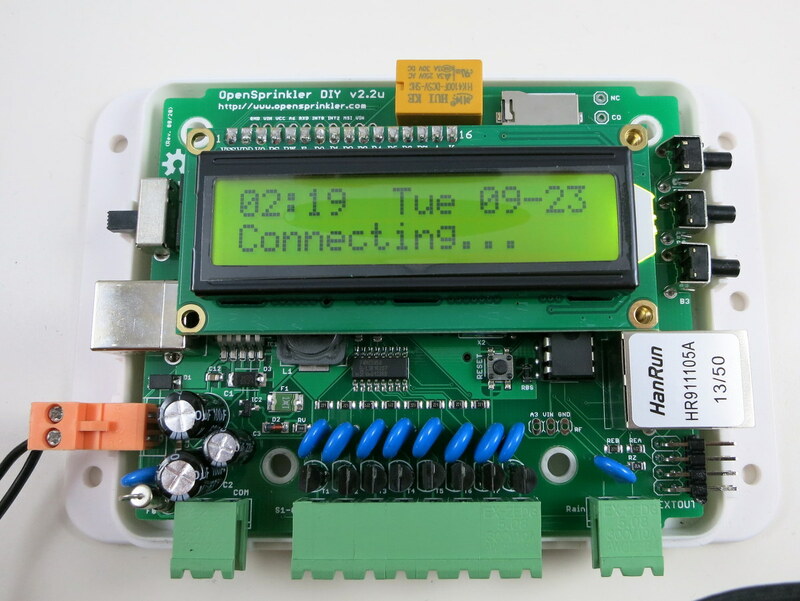 No need to select time zone and mess with DST any more — once you set your location, the firmware can automatically determine your time zone and DST. Improved Station Attributes and Scheduler including station ‘disable’ attribute, ‘activate relay’ attribute, test station feature (replacing the previous manual mode), automatic serialization of overlapping schedules, and the ability to manually start a program on the controller using buttons. Numerous UI Improvements (thanks to Samer’s hard work) including unified mobile interface, export / import configurations, improved visualization of logging data, and the number of supported languages has expanded to 17 (thanks to all who contributed)! With this firmware I’ve also written a more detailed user manual, and API documentation. 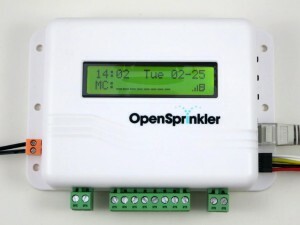 These are available on the Support page of our new website www.opensprinkler.com. In addition, there are a total of 4 tutorial videos that walk you through the hardware installation, WiFi connection, firmware features, and upgrading firmware. Be sure to check them out first. All OpenSprinkler 2.x devices (including 2.0, 2.1, and 2.2) are eligible to upgrade to firmware 2.1.0. Please check the ‘Firmware Update’ instructions on the support page to download and run the firmware updater. OpenSprinkler 2.0 and 2.2 are the easiest as drivers are pretty straightforward to install, and there is no bootloading procedure; OpenSprinkler 2.1 is tricky because the driver installation is more involved, and there is a bootloading procedure you need to follow. In any case, the firmware upgrade tutorial video gives you a quick walk-through of all the steps. To use the weather feature, you need to apply for a Wunderground API key. Again, instructions can be found on the support page. Firmware 2.1.0 has gone through internal alpha testing and external beta testing, so it should be pretty stable. For issues and suggestions, please use the forum, or the support page to submit support tickets. When I say ‘all these are implemented on a small microcontroller with only 64KB flash memory and 4KB RAM’, it’s not entirely true — the weather feature and timezone / DST detection are actually implemented using Python scripts hosted at www.opensprinkler.com. Why? Because these require fairly heavy processing power that’s simply beyond the capability of a small microcontroller. So they are implemented by using Python scripts that serve as the ‘middle man’ — retrieving data from weather websites, perform the necessary parsing and computation, and produce the final results to send back to OpenSprinkler. This way the heavy computation is done in the cloud, and OpenSprinkler only needs to poll the server once in a while to update the results. If you are interested in customizing the scripts, you can download the Python scripts from OpenSprinkler Github repository, modify them and host them on your own server. But for most people the default provided script should work pretty well. Additional station attributes including soil type, slope type, serial group. Support to store programs and station settings onto the microSD card (effectively allowing unlimited programs). Adding firmware support to interface with remote power sockets, so you can use OpenSprinkler to control power line devices like heaters, fan, Christmas lights etc. Support to use sunset and sunrise times for program start times (the sunset and sunrise times are already being detected using the timezone / DST script). Support for flow sensor to monitor water consumption. Cloud support: no more messing with port forwarding. Suggestions and comments are welcome. Please post them below, or on the forum. Thanks! 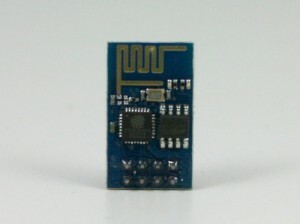 MCU clock speed is increased to 16MHz (from 12MHz previous), by using a 16MHz crystal. 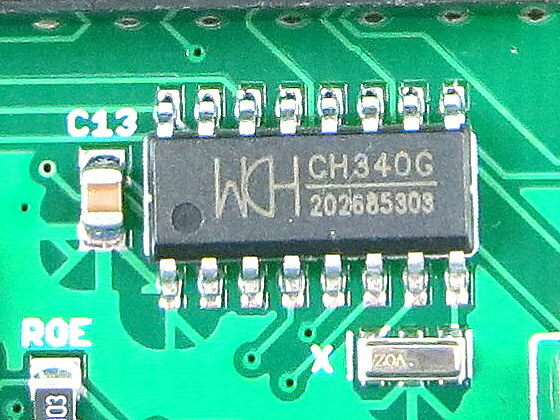 Built-in USB-Serial chip is added, by using CH340G, which is a common chip in low-cost USB-serial converters. 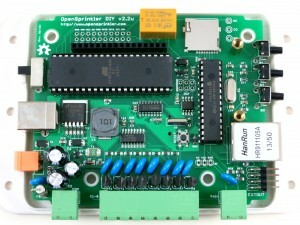 With the hardware serial chip, the bootloader is also changed to use Arduino Optiboot, at 115200 bps baud rate and a bootloader size of only 512 bytes. The first change above is to increase the processing speed and hopefully make the controller faster at handling complex algorithms and transferring data with the Ethernet controller. The second change above is mainly to solve the issue that it has been increasingly painful to install USBasp driver on Windows 8+. 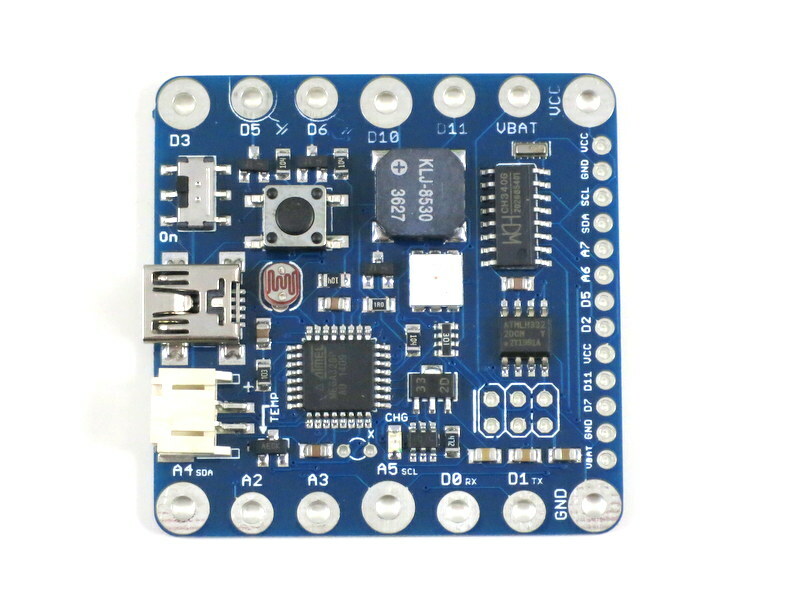 To understand the background, all of these have to do with firmware upgrade — how to reflash the microcontroller with new firmwares. Back in OpenSprinkler 2.0, I used to have a separate ATtiny45 chip on board to function as a USBtinyISP programmer, which can reflash the main MCU (ATmega644). This is not an ideal design because it involves an extra chip that we have to program; also USBtinyISP is not particularly fast. 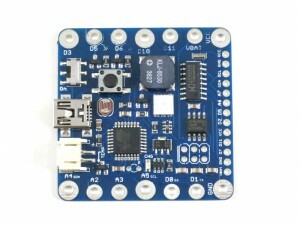 So when I designed OpenSprinkler 2.1, I made the conscious decision to get rid of ATtiny45. Instead, I decided to implement a USBasp bootloader for ATmega644, which can present the MCU itself as a USBasp programmer when a button is pressed on start-up. This is quite appealing because no extra chip is required, and the programming speed is considerably faster. The only caveat is that to use USBasp in Windows, you need to install the open-source USBasp driver. This was not the most pleasant thing to do, but wasn’t a big deal as the driver was fairly easy to install. That is until when Windows 8 came out, with this feature called driver signature enforcement. It basically means the driver needs to be digitally signed with Microsoft, otherwise it won’t allow you to install the driver. Let’s be honest, for open-source developers, who wants to pay the big bucks to get the driver signed? So suddenly this has created an even bigger barrier for average users. The only way around the issue is to boot Windows 8 into a mode that disables driver signature enforcement. This step turns out to be unnecessarily complicated. I’ve often received comments about how it’s painful to install USBasp driver for Windows 8. I recently made a video to demonstrate how to update OpenSprinkler firmware — in this 11-minute video, 6 minutes were spent purely on explaining how to install USBasp driver for Windows 8. That’s an evidence of how unnecessarily complicated it is! Anyways, I set out to find a better solution, and was glad that I discovered the CH340 chip. It’s basically a USB-serial chip that is often found in low-cost USB-serial cables / converters. It’s really inexpensive (less than 30 cents) and requires very few peripheral elements (just a crystal and filter caps). 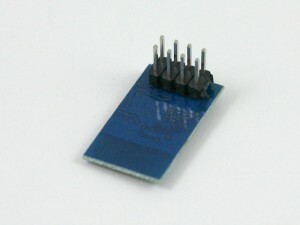 With this chip, you can now use the standard serial monitor to debug your program, and the bootloader can also now use the standard Arduino bootloader. What I like the most about this chip though, is that it does not require driver for Windows 7, 8 and above. What? Is that even possible? Yup, I’ve verified it — Windows 7, 8 and 8.1 all recognized it right away. The fact that it doesn’t require driver just makes it a whole lot easier to upgrade firmware. Windows XP and Mac OS still require driver for it, though, but that’s light years better than installing driver for Windows 8. 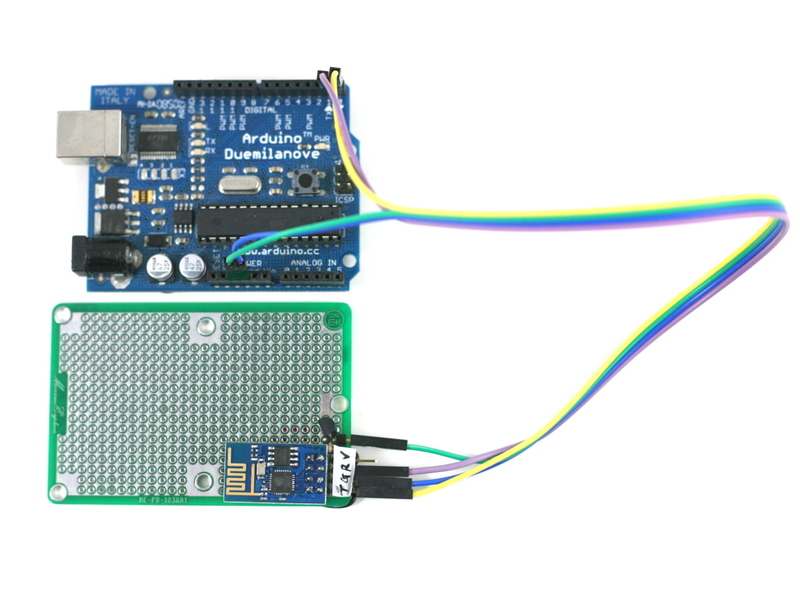 You may be wondering: wait a minute, what about the FT232 chip, which has been available on the standard Arduino since the beginning? Isn’t what I am trying to do here already done? 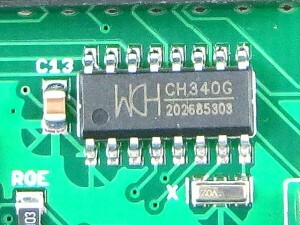 Sure, CH340 is basically a replacement for FT232 — both are USB-serial converters. But there is an economic reason to go for it: even at volume quantity like 1000, FT232 costs about $3 to $4 per chip. That compared to 30 cents for CH340? You tell me. 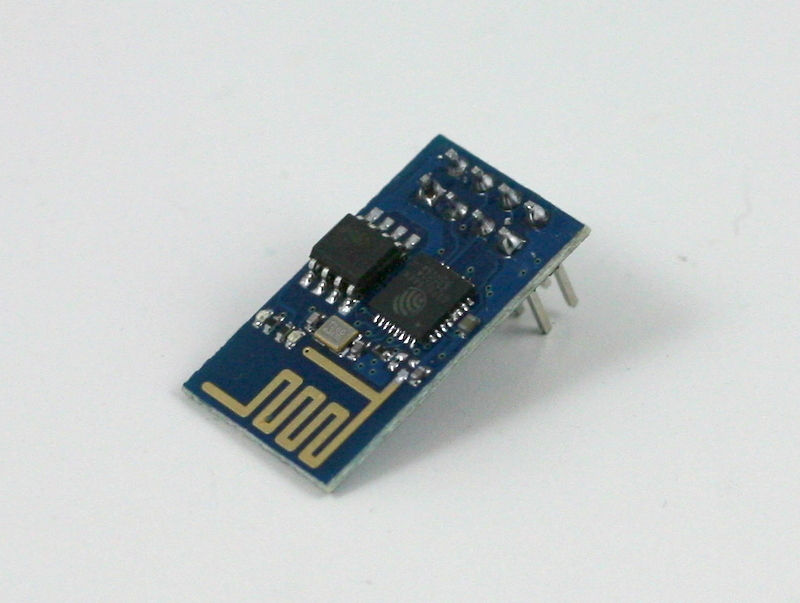 Another nice thing about CH340 is that it comes with SOIC-16 packaging, which is very easy to solder even by hand. 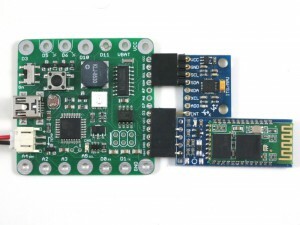 This makes it more appealing than other low-cost alternatives like PL2303 and CP2102.